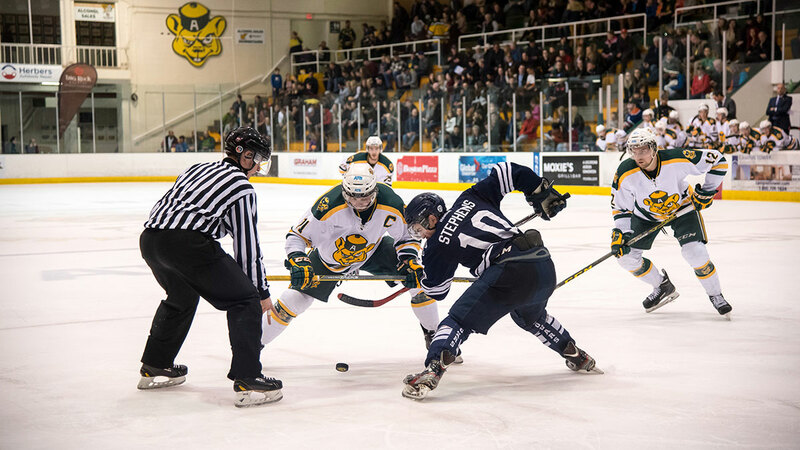 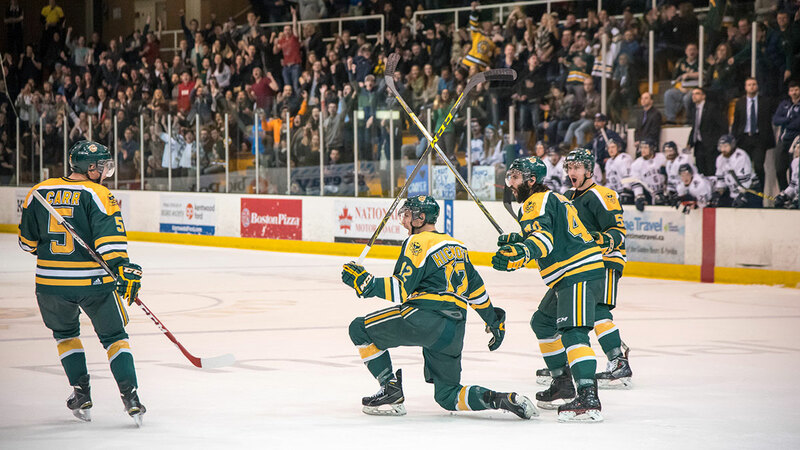 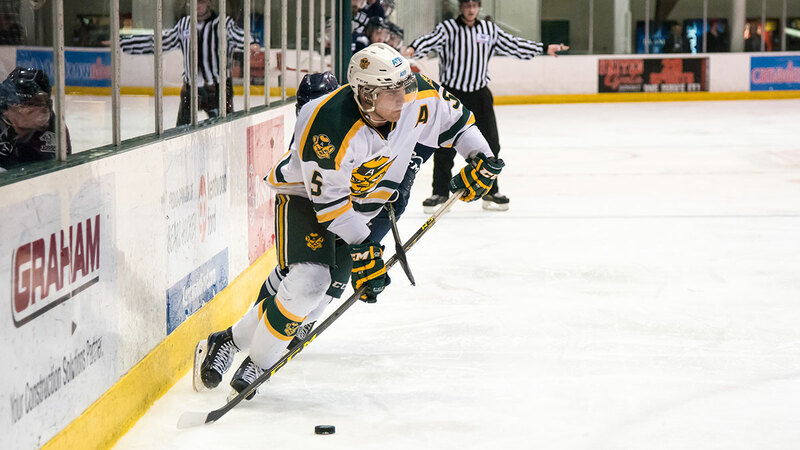 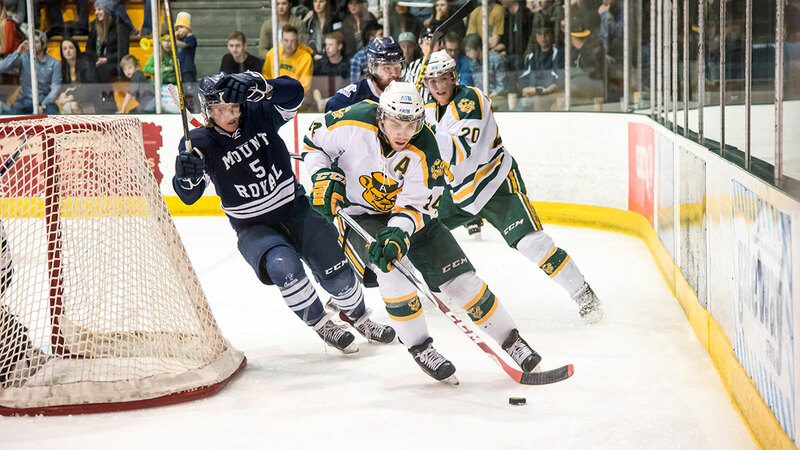 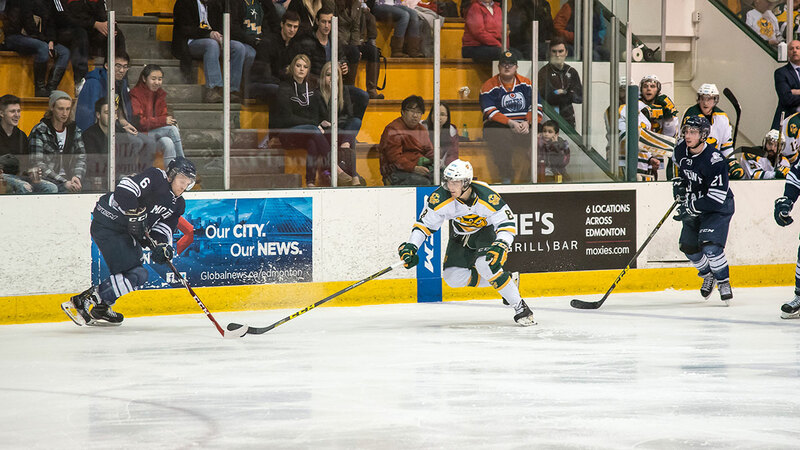 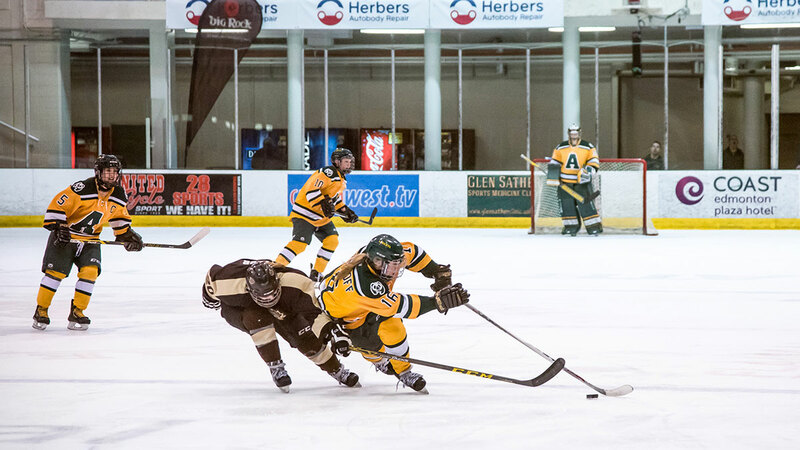 The Golden Bears hockey team took their first step toward a CIS three-peat this past weekend with a two-game sweep of the Mount Royal Cougars in the Canada West semifinals. 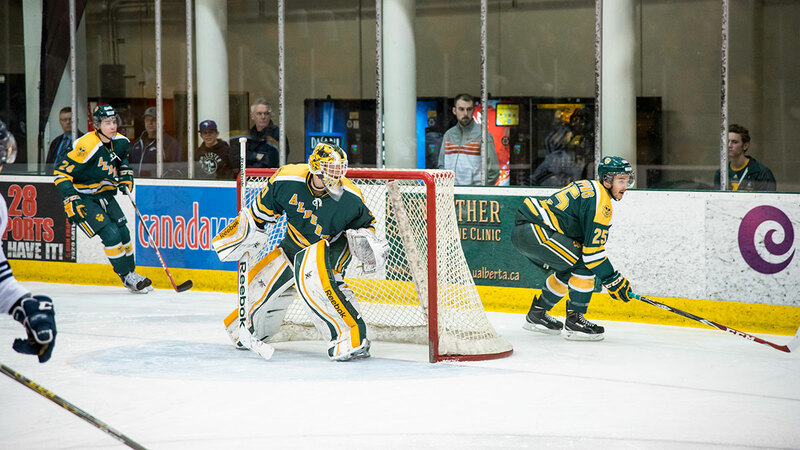 If the Bears thought they’d have an easy sweep after a convincing 7-1 win on Friday night, they were mistaken, as the team from Calgary came out with much more energy on Saturday in what was a must-win game for them. 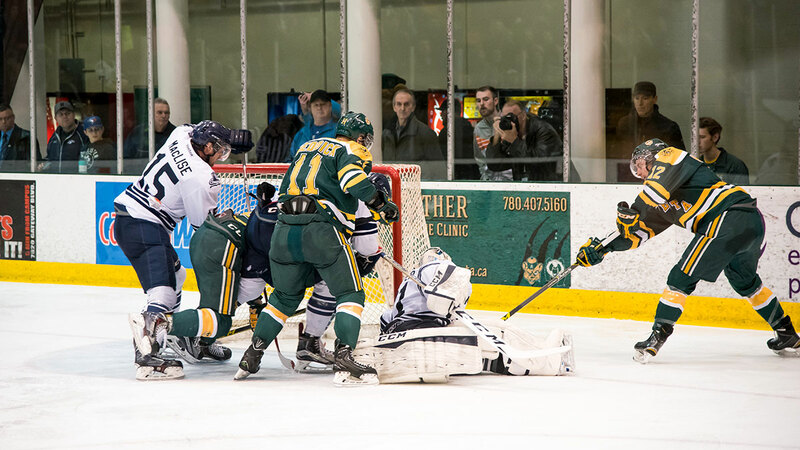 The Cougars nabbed the only goal of the first period at the end of a five-on-three power play, as David Stephens was able to collect the puck in the slot after a blocked shot, and beat Bears goalie Luke Siemens upstairs to give his team a 1-0 lead. 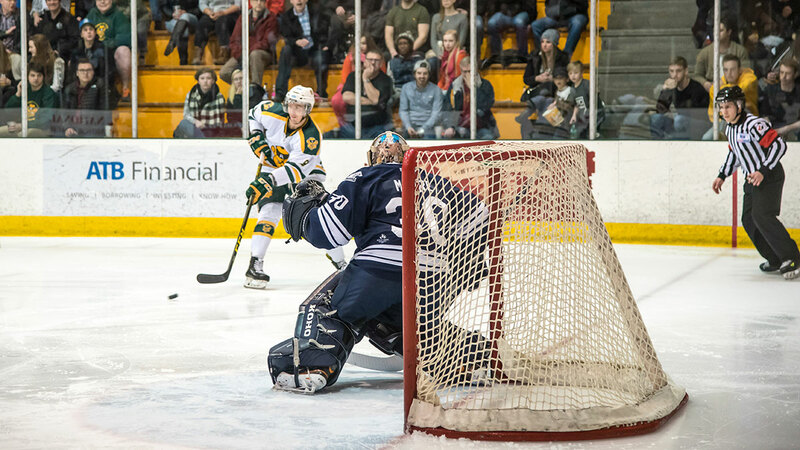 Aside from the Cougars goal, the first period was relatively quiet, with the green and gold holding a slim 7-5 shot advantage. 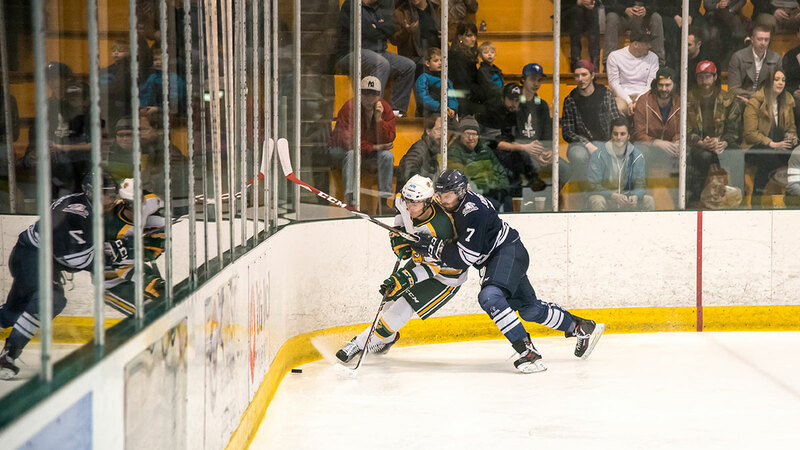 Action picked up in the second period, which featured end-to-end activity, physical play, and numerous skirmishes after the whistle. 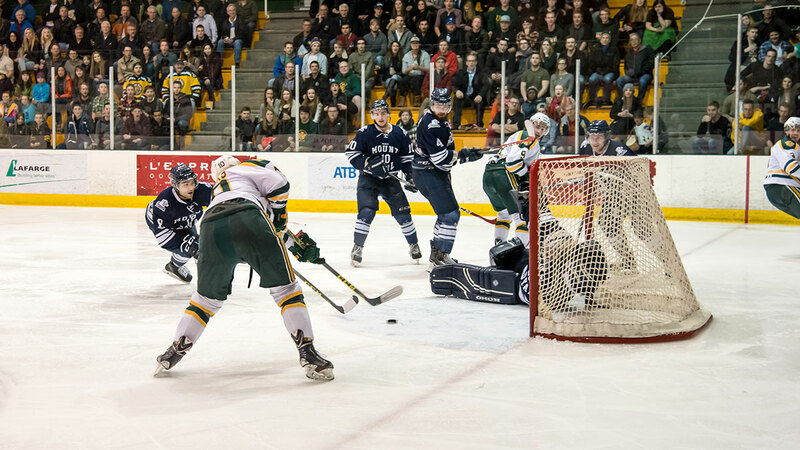 It looked as if the Cougars had the game well in hand. 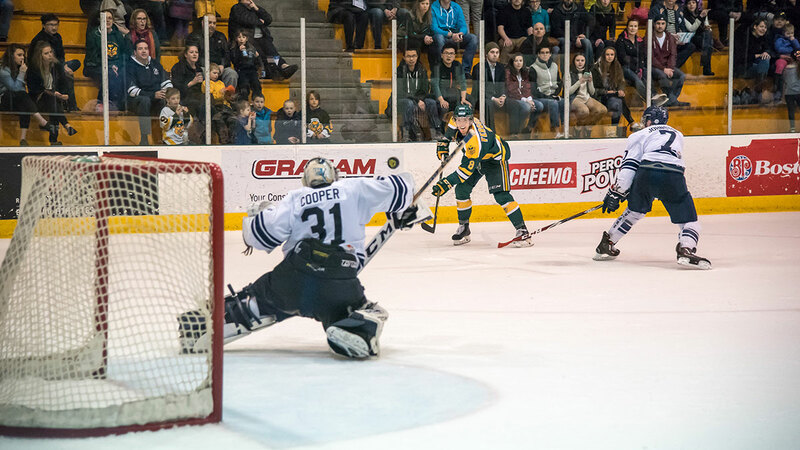 Matthew Brown doubled Mount Royal’s lead at the 7:40 mark of the second, and while Jamie Crooks was able to pull the Bears within one just under three minutes later, the Cougars had an answer, as their leading scorer Tyler Fiddler found the back of the net to give his team a 3-1 lead. 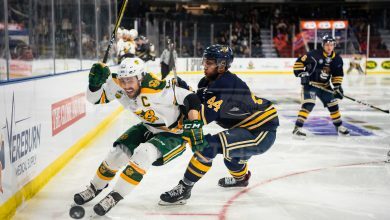 Bears head coach Serge Lajoie said that he was confident his team could pull through when they had their backs up against the wall. 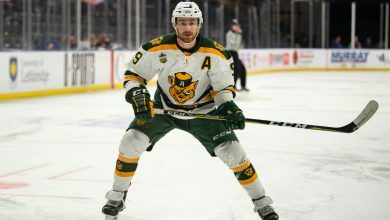 It was the Bears’ veteran players who led the comeback, as captain Kruise Reddick buried his first goal of the playoffs barely a minute after Fiddler scored, pulling the Bears back within one. 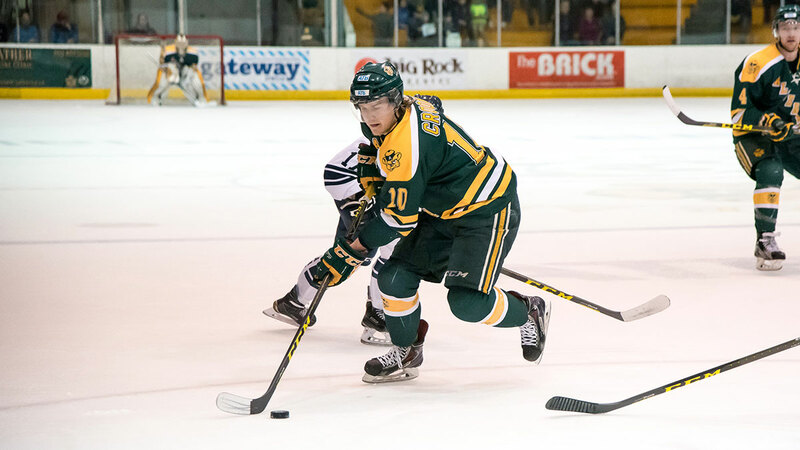 After that, the green and gold wasted no time tying the game, with Jordan Hickmott knotting the game at three apiece just under two minutes after Reddick’s goal. 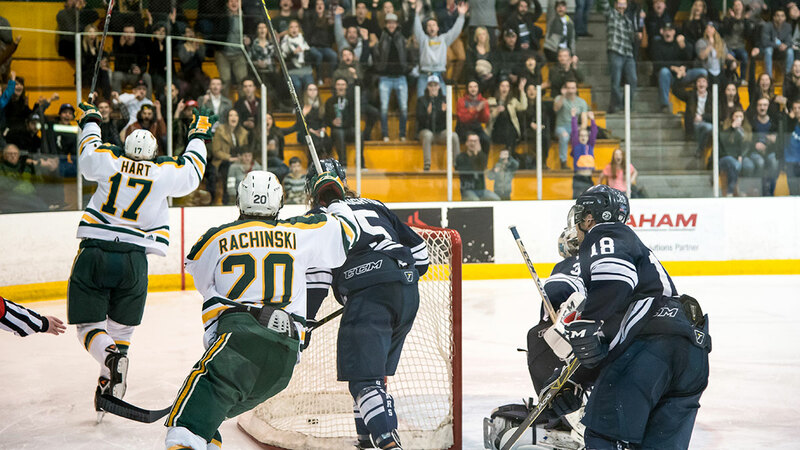 With the game all square heading into the third, the Bears once again showed their championship pedigree. 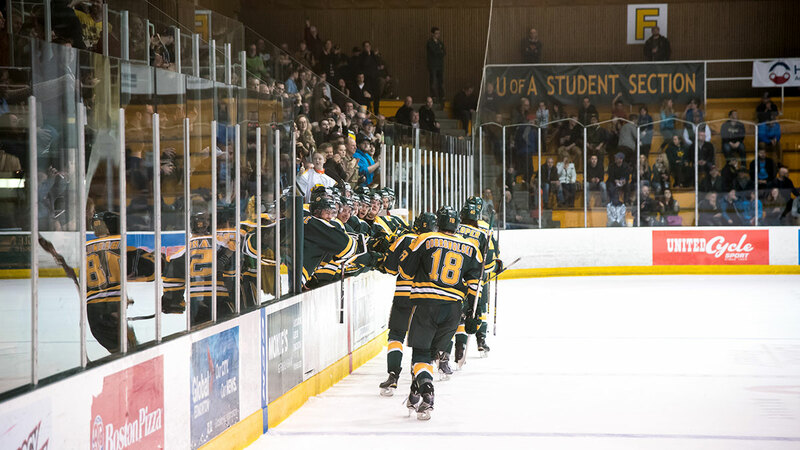 They were able to hold the visitors at bay for the majority of the period, and were able to break through halfway through the third period. 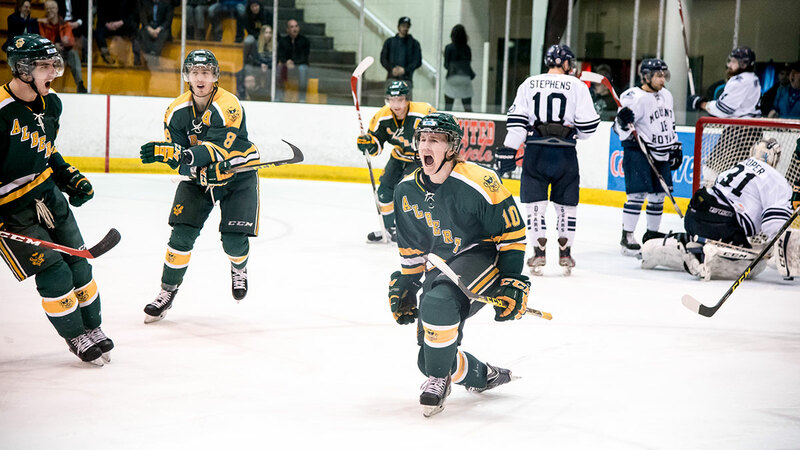 Levko Koper was able to force a turnover behind the visitors’ net, and centred the puck to Hickmott, who made no mistake to give his team a 4-3. 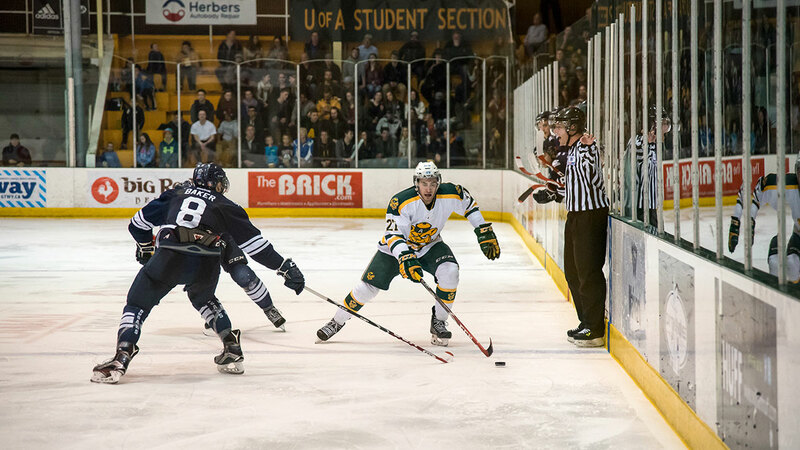 Brett Ferguson would ice the game late with an empty net goal, sending the Bears through to the Canada West finals. 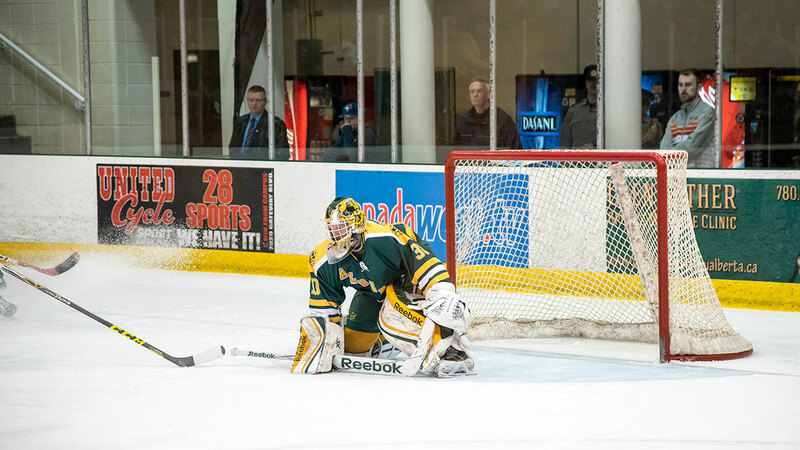 Lajoie said the character and leadership of the Bears helped them overcome their 3-1 deficit. 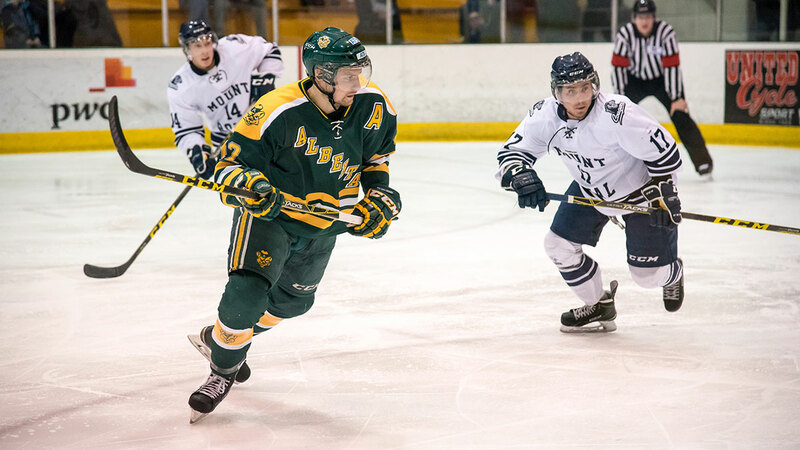 Hickmott finished the game with two goals and an assist, while Koper chipped in with three helpers as well. 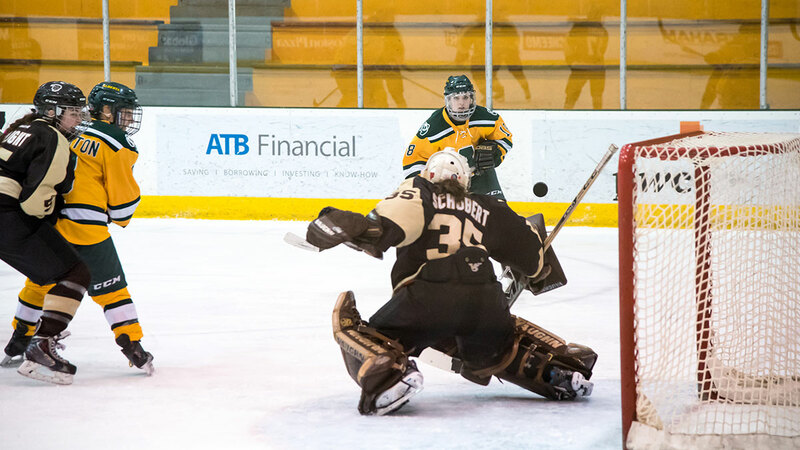 Luke Siemens stopped 21 of 24 shots to earn the victory. 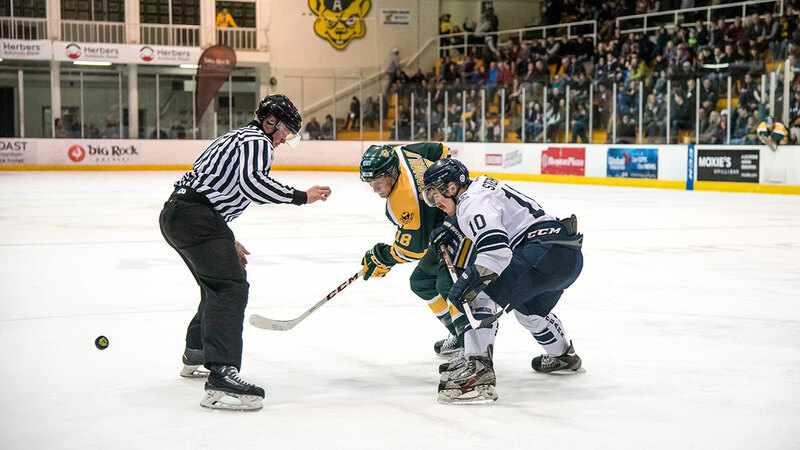 The Bears now look ahead to a Canada West Finals matchup with the top ranked team in the country, the Saskatchewan Huskies. 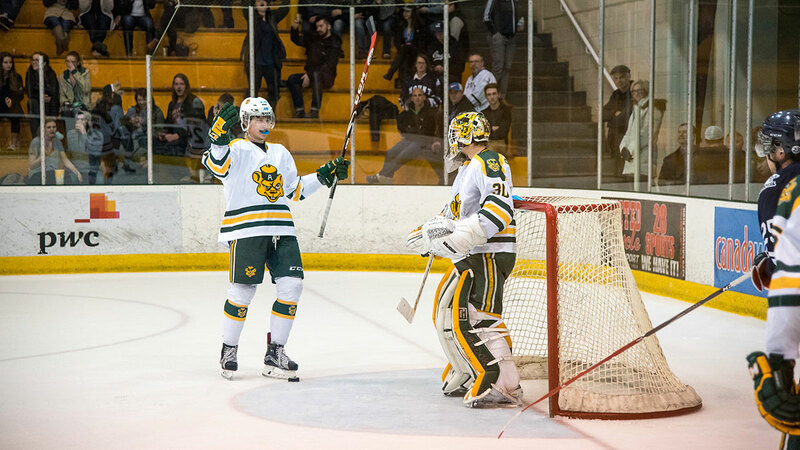 The Bears had the Huskies’ number this year, winning three of their four matchups during the regular season. 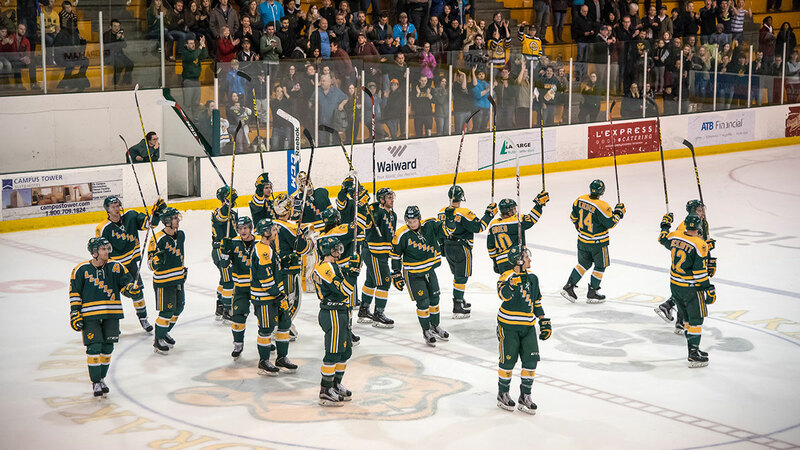 The two teams will face off for the 18th time in the Canada West finals, with the Bears holding an 11-6 record in previous series’. 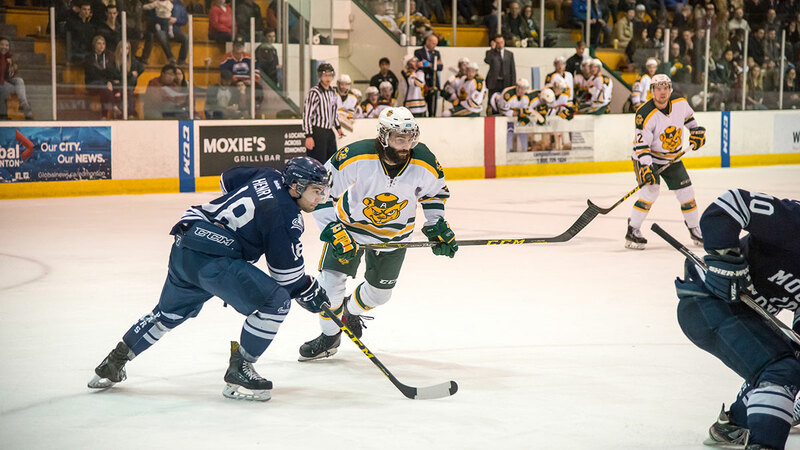 Regardless of the results, both teams have still qualified for CIS nationals, but a Canada West title is still more than enough motivation for both teams. 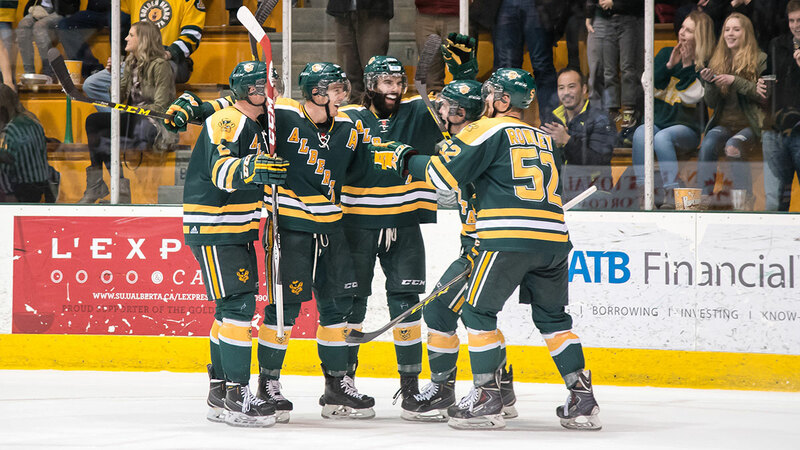 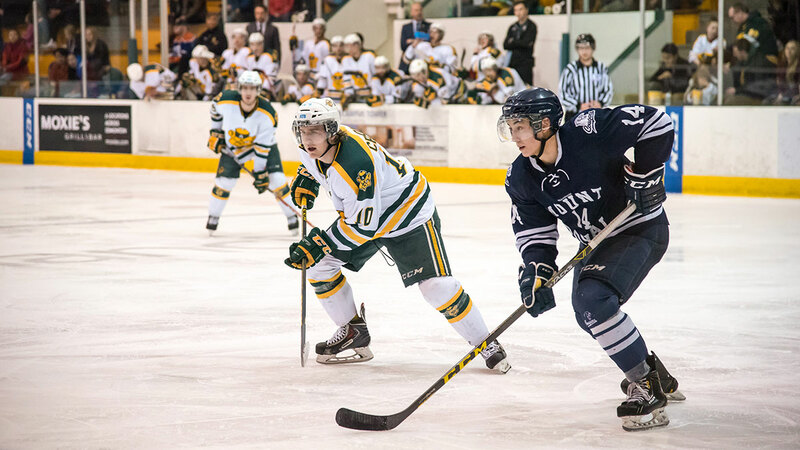 The Canada West finals will get underway on March 4, with the Huskies hosting the Bears in Saskatoon.